Hand of God is the vocal project of talented Greek guitarist Theodore Ziras who has primarily released instrumental albums. His only previous non-instrumental release was eight years ago, the self-titled, one-off effort, called Euroforce. 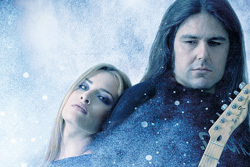 Ziras returns today with a melodic metal band, Hand of God, featuring female vocalist Marissia. Hand of God: picture of man and woman. You can put the music of The Hand of God safely in the category of crossover melodic hard rock and heavy metal; often it seems to lean to the former as on Start Again or No Holding Back. Yet, something like No Regrets or Running Out of Time easily sways the other direction. With the female vocals, some suggestion could be made to a gothic element, but it's minimal. Also, concerning the vocals, while reference could be made to other bands like Nightwish, Epica, Theatre Of Tragedy or Within Temptation, there's not much of that bombastic symphonic element either. Instead, Ziras's arrangements work from a foundation of melodic hard rock groove, sharpened by a metal edge. Of course, while Marissia may be at the microphone, Ziras is equally at the forefront with his skillful fret board magic. Regarding the album and the songs in general, The Hand of God is solid material, if not derivative and predictable for the genre. The album starts with this feeling, as if you're heard this before. Essentially, you have to shake of your suspicions and reservations, and give the album a chance. Start Again (listen below) is the first glimmer enthusiasm. This picks up again with While I'm Here, and later with Endless Circle, No Regrets and Running Out of Time, perhaps because they're generally faster and heavier, nearing power metal. There's an abundance of riffage and solos from Ziras throughout. Marissia holds her own against the music, possibly due to a good mix rather than her skills. Traveling through the album, I often got the feeling that she had the vocal strength, but not necessarily a whole lot of range. This could simply be because the music didn't lend her the opportunity. Nevertheless, for another female-fronted metal project, and there are some many out there today, Hand of God is definitely on track and generally entertaining. Whether it becomes another one-off project from guitarist Theodore Ziras is yet to be seen. 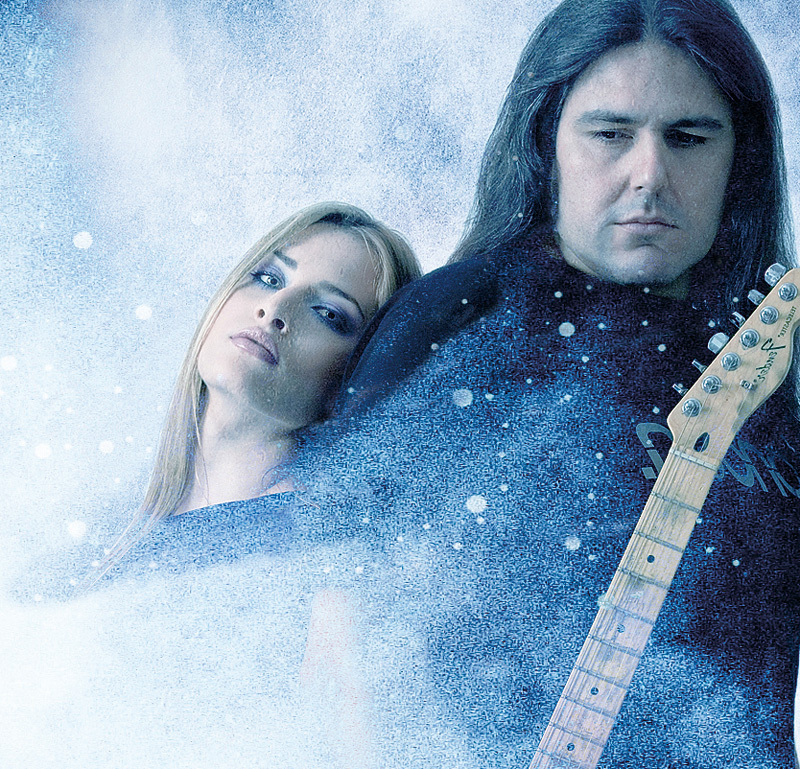 Greek guitarist Theodore Ziras returns to another non-instrumental project, Hand of God, a female-fronted melodic hard rock and metal band.